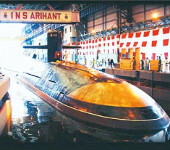 INS Arihant is the first of a class of ballistic missile submarines for the Indian Navy. 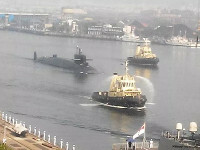 The second boat, INS Arighat, was laid down in 2011 and was launched in November 2017. 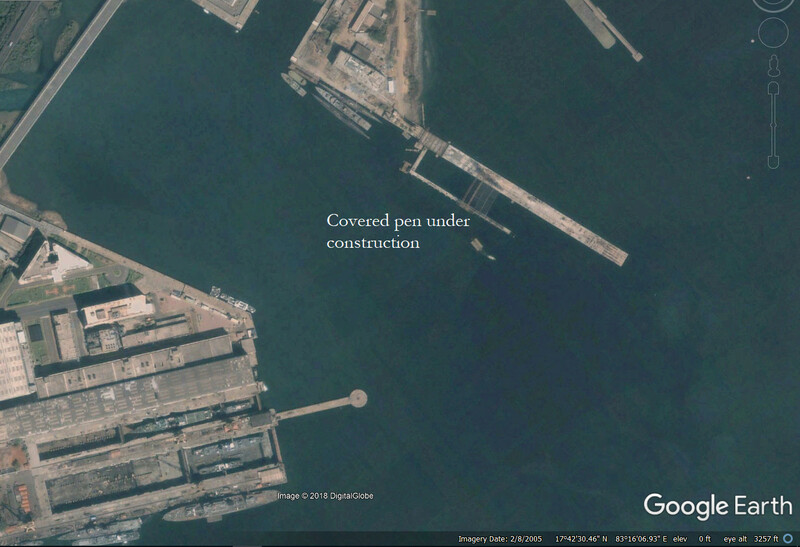 A total of four boats are expected to be built. Undoubtedly built with some Russian design assistance, she is all the same an indigenous product incorporating many Indian systems and of course Indian ballistic missiles. The program, originally Project 932, was initiated in the 1970s. 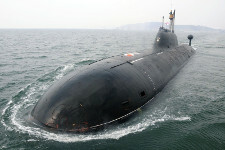 India has experience of operating nuclear submarines but has never built one until now. The Indian Navy leased a Project-670 CHARLIE-I class SSGN from 1987 to 1991 and currently leases a Project-971I Improved-AKULA class SSN from Russia. 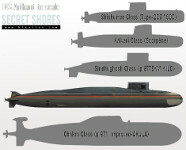 The prioritization of SSBNs over SSNs is natural and mirrors all nations who have developed nuclear submarines to date. 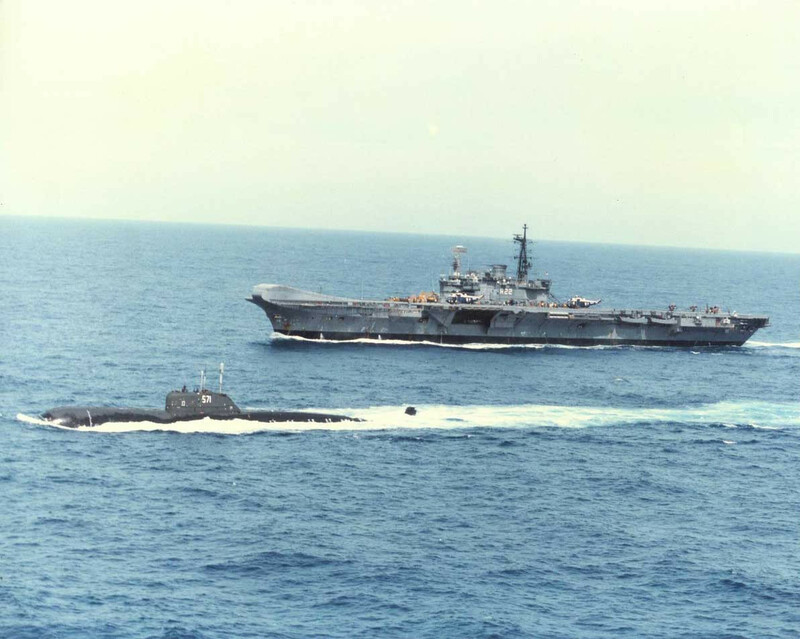 It is particularly similar to France who joined the nuclear club slightly later than US, USSR and UK and so consequently at a time when SSBNs were already the norm and went straight for an SSBN without building a simpler SSN first. 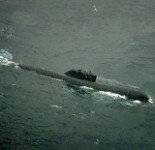 SSNs did not join the French Navy until eight years after the first SSBN. 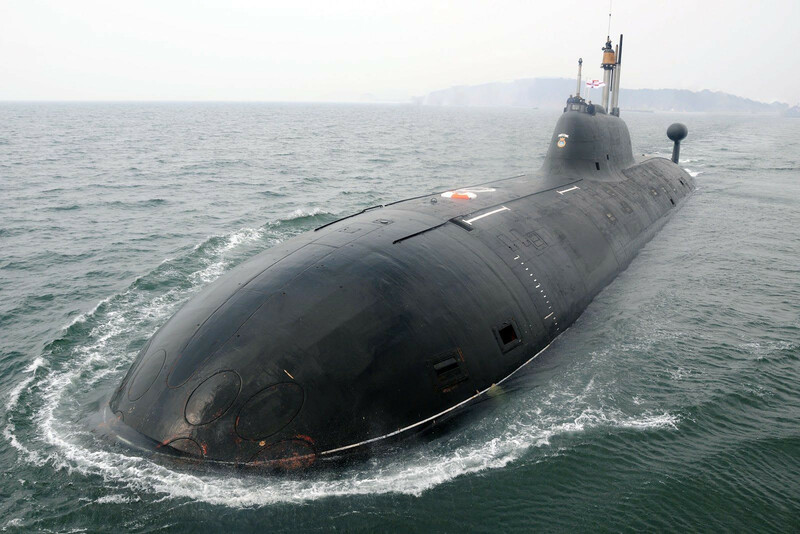 India has strong military ties France and Germany for submarine building, but Russia won out when it came to assisting India in her indigenous SSBN program. It's not the first time one country has helped another in this endeavour; the US Navy provided assistance to the Royal Navy with Polaris, and the USSR gave assistance to China (that back fired!). But in the modern context this level of assistance is unparalleled. 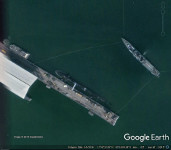 From the couple of decent photographs of the boat with both show the starboard quarter (front right), we can deduce that the forward section of the hull is based directly upon the Russian KILO Class diesel attack submarine. 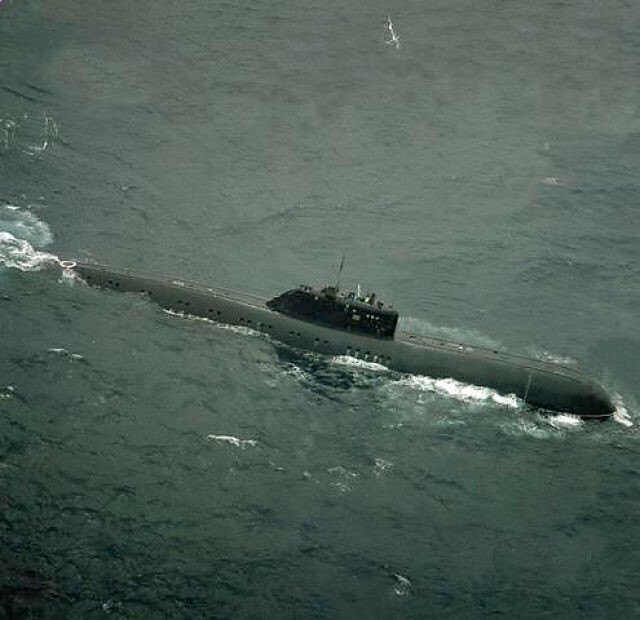 India operates 9 Soviet built Project-877EKM KILO as the Sindhughosh Class. 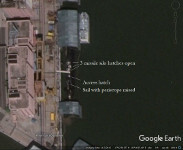 The upper sonar casing and torpedo tube arrangement look to be identical. The sail is also essentially similar although necessarily raised slightly because the casing gets deeper as it goes aft to accommodate the main missile silos. The forward hydroplanes are remounted on the sail rather than on the forward casing, which also entails minor rearrangements, but overall the sail can be said to be the same hat of the KILO. 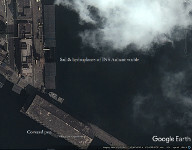 It features an open bridge at the top, a bad-weather bridge with windows and a sonar array in the forward part of the sail. The distance from the bow to the sail is also the same as on he KILO, another telling observation. So the forward hull is essentially that of the KILO design. There are six torpedo tubes which have to be reloaded through the top two from a platform which extends out of the forward hull. The torpedo room will be on the upper deck immediately behind the torpedo tubes and in front of the sail. Following the KILO layout, the top two tubes are likely configured for wire guided torpedoes (e.g. TEST-71ME-NK) and the lower four for self-guiding rounds (e.g. 53-65K). The lower tubes are reloaded using a fast automated reloading system. Eighteen torpedoes can be carried in total, although patrols probably occur with fewer. Although conceivably possible, it is unlikely that Arihant is equipped to fire KLUB cruise missiles or other exotic weapons through her torpedo tubes. As a nuclear deterrent she would not be utilised to lunch conventional cruise missile attacks during a war and would only carry torpedoes as a means of self defense. Beneath the torpedo tubes is a large sonar dome designed for a circular sonar such as the CIM-400E "Rubicon-M" (SHARK TEETH) fitted the KILO Class. 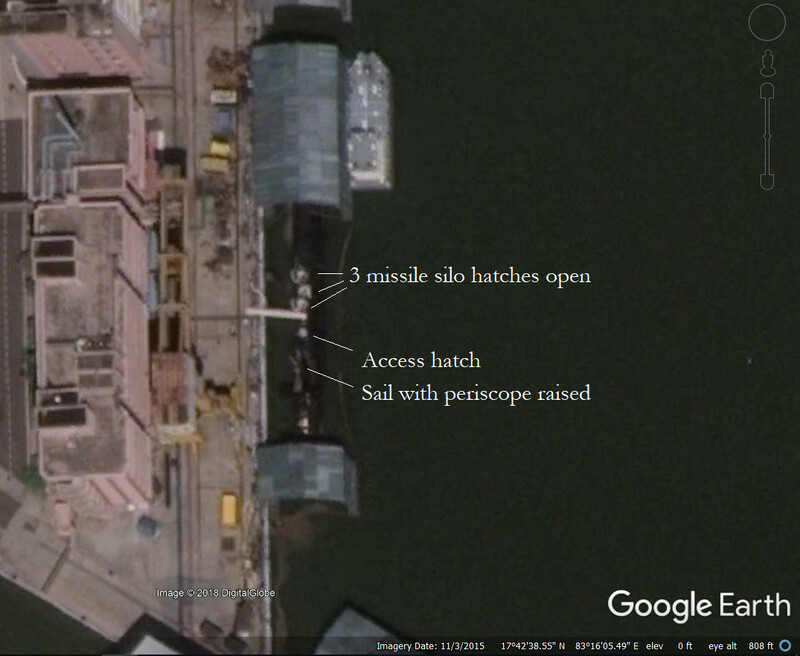 This is likely to hold the Indian designed USHUS or USHUS-2 used by the Sindhughosh Class. Behind this the main pressure hull starts, which is divided onto three floors. Like other Russian designs the KILO is a double-hull design which means the pressure hull is encased in an outer hull. This allows the reinforcing frames to be on the outside of the pressure hull. Beneath the sail is the control room. 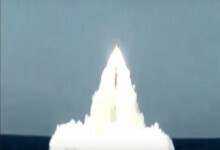 Note that the K-15 is a smallish single warhead missile which is viewed as an interim solution. Because of its small diameter three tubes can be fitted within the space for a single K-4 missile tube, hence the 12 missiles in total. 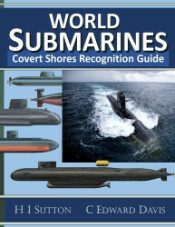 Individually the K-15 is loosely equivalent to the first generation Soviet SLBNs except that it is far more compact and can be fired from underwater making it a much better system (as you'd expect fifty years on!). But it is far less potent than other modern SLBNs in service. It does not have MIRVs (multiple independent re-entry vehicles) so measured in number of warheads the gap to other SLBNs is even greater, which is where the K-4 SLBN comes in to the equation. This is similar in size and range to other SLBNs and can apparently carry MIRVs. 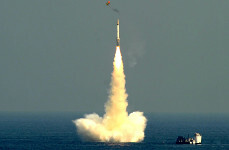 The range makes a big deal; with the K-15 missile Arihant would have to be somewhere in the Arabian Sea in order to threaten Karachi, well within the reach of the Pakistani Navy. 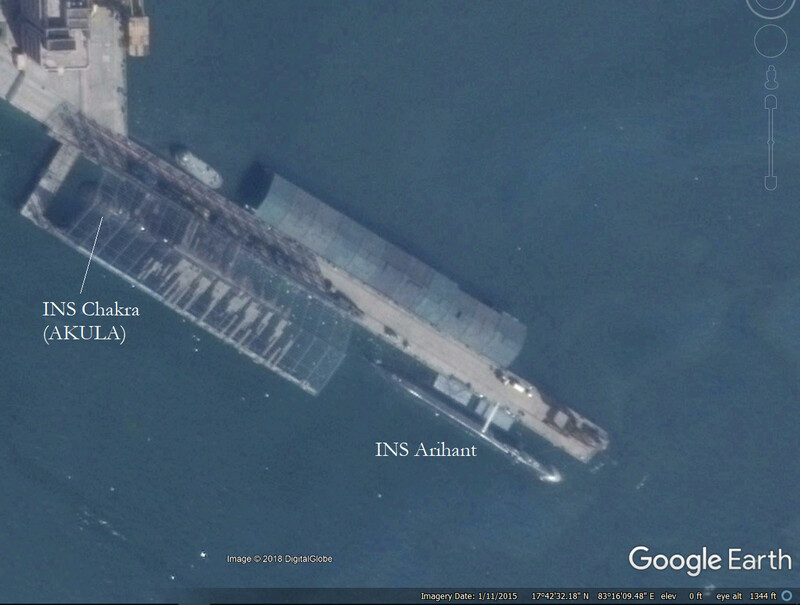 Whereas with the K-4 it could be somewhere in the Bay of Benghal which is almost the Indian Navy's private sea. 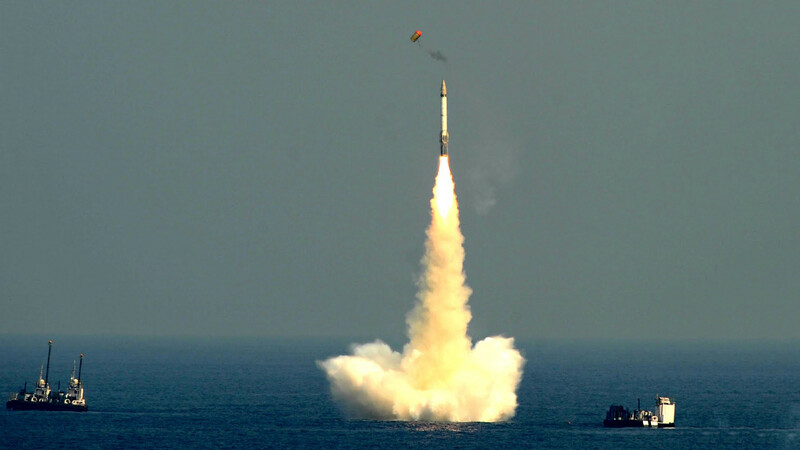 Maybe the Indian Navy has done something very clever indeed by sacrificing the number of missiles carried. There is a school of thought that nuclear wars can be won, and that the country who lobs the most missiles wins. There is another school of thought that nuclear war is mad and cannot be won, but in order to ensure this is true a deterrence must be sufficiently weighty to convince a crazy enemy that the war is unwinnable. By either school of thought Arihant is at a disadvantage. But Arihant's deterrent isn't pointed at USA or Russia, it is pointed at Pakistan and to an extent China and possibly any middle eastern countries who might tool-up in the near future. 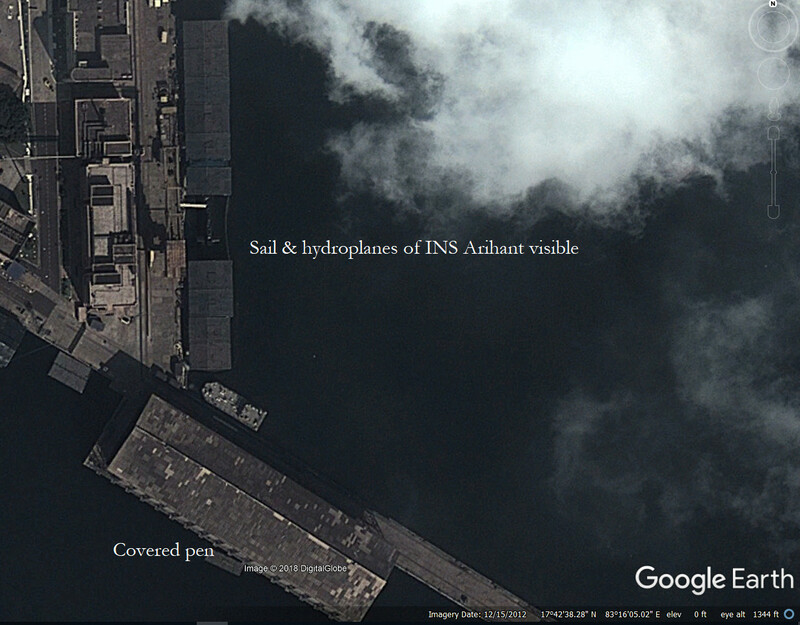 The bulk of India's nuclear deterrent is land based (as is China's and Pakistan's) so the Arihant is merely a diversification of capabilities which supplements the main force. In addition to this, nuclear bombs are expensive and slow to produce so, combined with the need to test technologies it is economical to only fit four tubes. More than enough to guarantee the destruction of several cities. 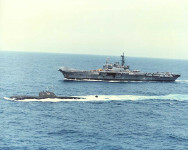 The reduction in war load also allowed the use of the smaller KILO class hull which again was a risk reduction. 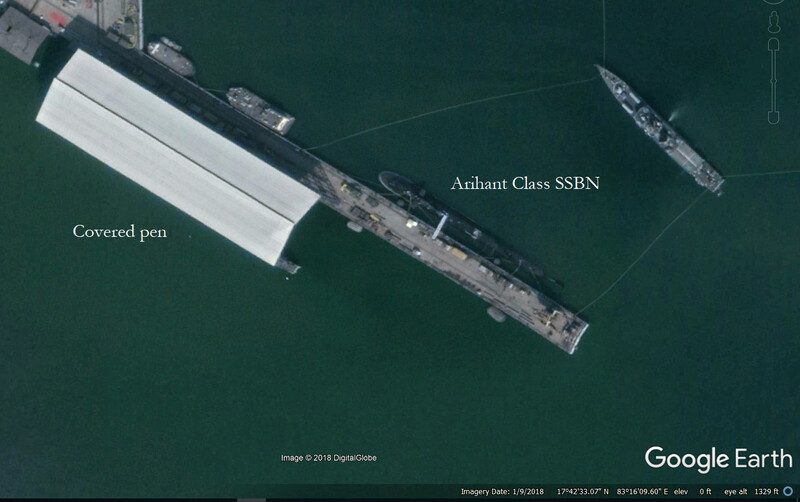 The question will be how many more Arihants will enter service? 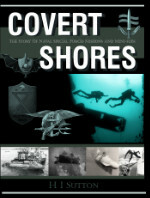 At least four will be required to maintain a constant at-sea vigilance. 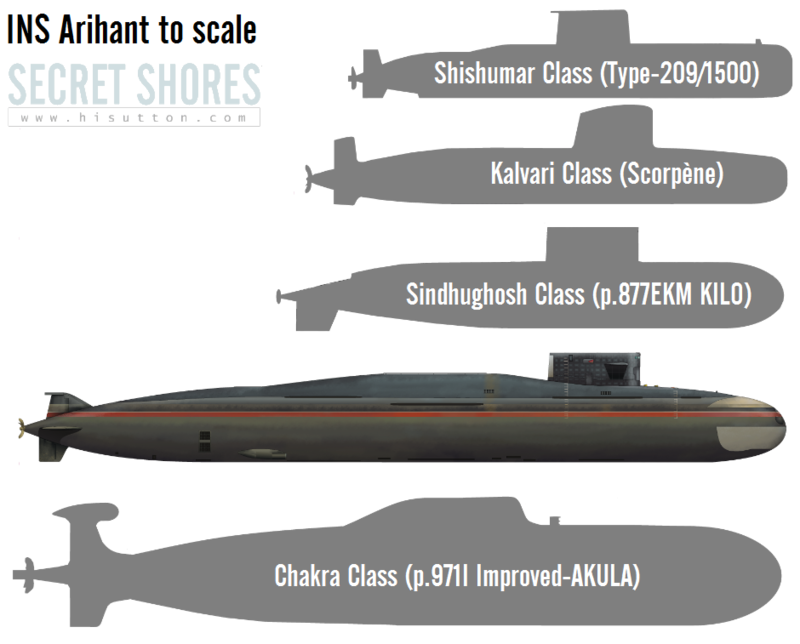 But if India wants to switch it up to 'full capability' SSBNs they'll need to start building a completely new design with all the costs and delays that is likely to entail.